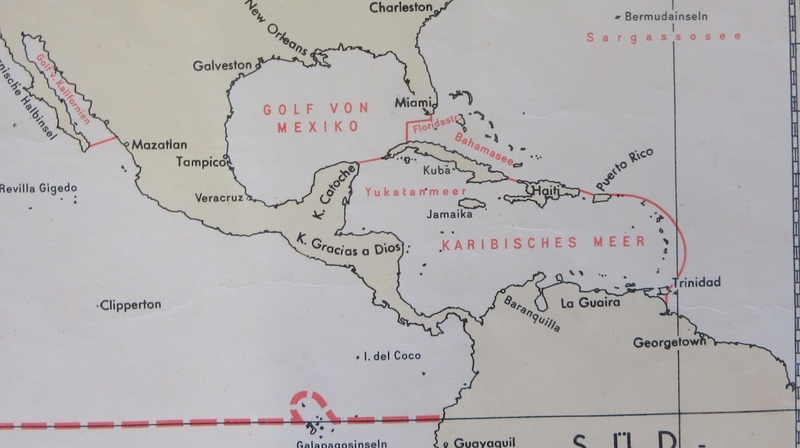 This map, ‘Weltkarte, namen und nautische grenzen der ozeane und meere’, shows the boundaries of locations which have no physical dividing line, no obvious mountain range or river border to separate two or more different parts of the World, for this is a map that shows the boundaries of oceans and seas. 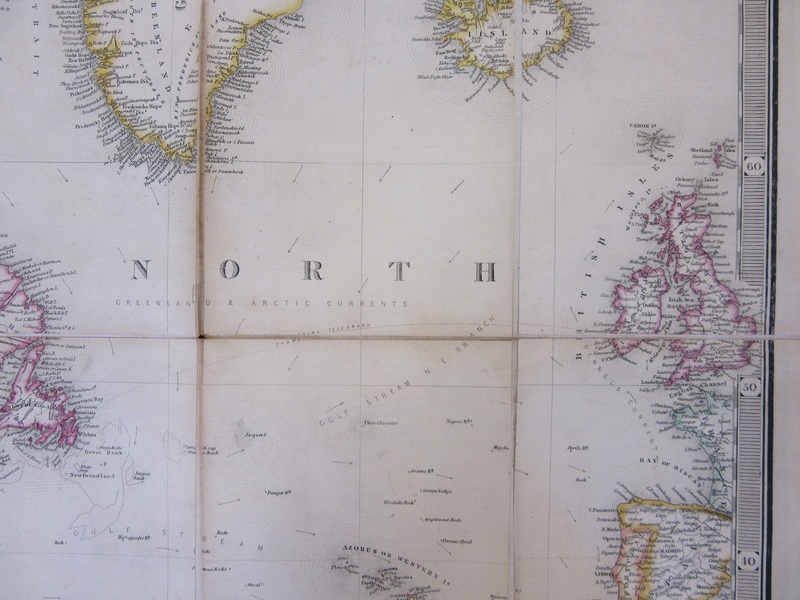 To separate the major oceans the lines have been drawn between the shortest land-masses; between Tasmania and the Antarctic to separate the Indian and Pacific oceans, between the Cape of Good Hope and Antarctic for the Indian and Atlantic oceans and between Cape Horn and the Antarctic Peninsula for the Atlantic and the Pacific. Smaller seas are separated on the same principal. 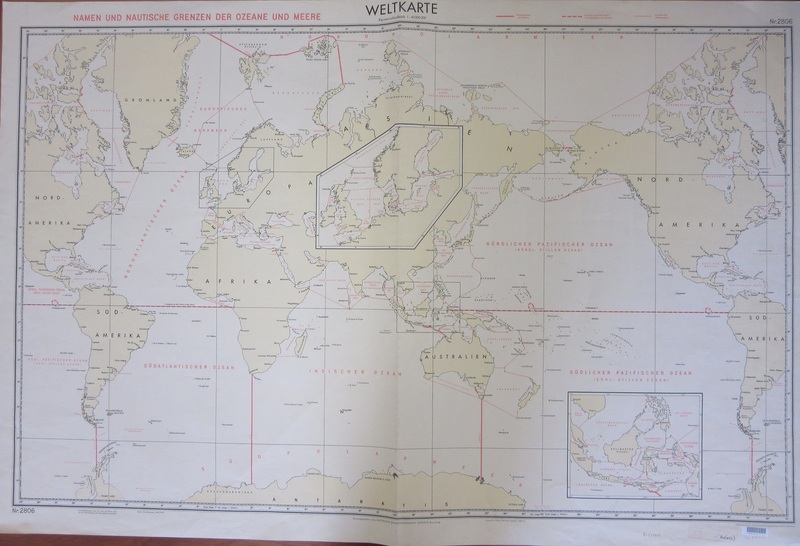 The map is published by the Deutschen Hydrographischen Institut in Hamburg. Arctic currents coming up against the Gulf Stream which also runs in an opposite direction to the Arctic current that travels down the east coast of the United States. These though are in constant flux, ever-changing and unreliable so the straight lines on this chart may well after-all make the most sense. This map doesn’t mention a source for the information shown, but this more than likely comes from the International Hydrographic Organization. 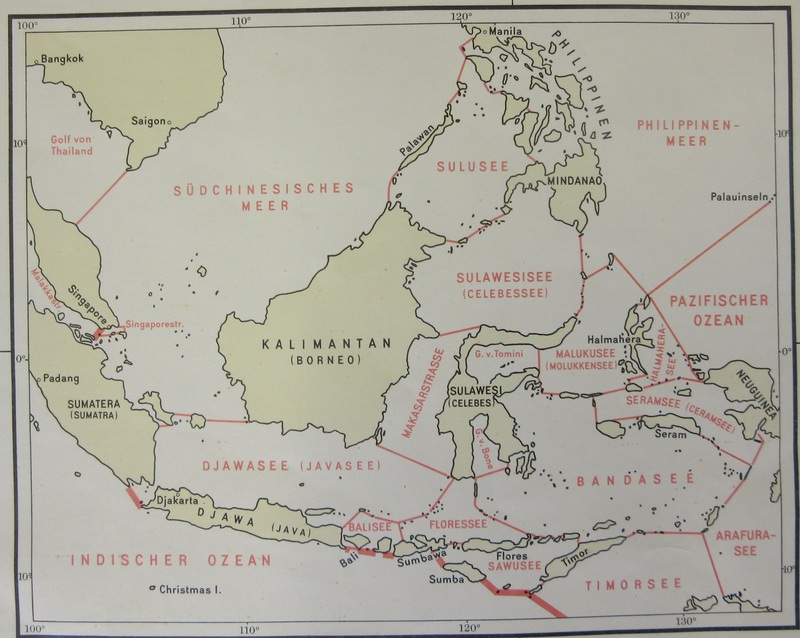 Since its inception in 1921 the IHO has set the standard for information on the oceans and the seas and is now recognized as the leading authority on the subject. This entry was posted in Uncategorized on 26 July 2018 by stuart.